As opposed to corruption of the US Senate, I’ve paid little attention over the course of this blog to the House of Representatives. The House isn’t involved with high profile treaties or appointments, and is far too infrequently involved with impeachments. Aside from hoping it doesn’t fall into democratic hands, it’s just sort of “there.” We dutifully vote every two years for the congressman of our choice, and that seems to be that. While few today give much thought to the topic of representation, it was high on the list of concerns during the Framing era. At the federal convention, it occupied much of June, and wasn’t settled until the very last day, on September 17th 1787. Voter Qualifications. Unlike today, one-man-one-vote was of little concern in the English House of Commons, as well as our colonial and early state governments, where the people as constituted in thinly populated counties and towns of widely unequal populations, were the basic blocks of representation. By 1787, attitudes about the franchise had evolved toward its expansion, yet many blamed Shays’ Rebellion on too much democracy and its levelling spirit. On August 7th, Gouverneur Morris thought an expansive electoral base invited aristocracy, because wealthy and designing men would purchase votes readily for sale by shiftless men without a stake in the system. Others, like James Madison, and Ben Franklin, argued the foundation of the American republic should be wide and strong, and warned that congress would be more than happy to create an aristocracy by degrees if allowed to set qualifications for electors to the House of Representatives. The convention solved the immediate problem, and increased the probability of ratification as well, by punting the determination of voter qualifications to the states, per Article I § 2. Duty of Reps. Then as now, controversy roiled around dueling concepts of representation. Should reps follow the wishes of most of their constituents, or should reps trust their own judgment? To this day, the matter remains unresolved, as it probably should be. Some issues are straightforward, while others are not; perhaps reps should merely execute orders in the first and not in the latter. Yet, don’t we typically expect our reps to reflect the majority will? That was the nature of representation as seen by the Anti-Federalists. Representatives are in office to represent, and not to think too much on their own. Representatives were neighbors, men of good character known personally or by reputation in their communities. Congressional Districts. If representatives are to mirror their constituents, congressional districts must be small, very small, perhaps only 10,000 people. But, how many members can the people’s house hold without becoming little more than an institutionalized mob? This issue, the number of constituents per congressional district, and not the extent of the voting franchise, was at the core of the lengthy and hot debates surrounding the House of Representatives. The state representative of the 1780s was not a dullard; he was a respected local farmer, merchant, or mechanic, who was literate and knew his Bible. THIS was the idealized nature of the people’s reps in republican government. In small districts, the everyday man could stand for office. Campaign expenses were minimal, and to the extent they cost well-known men in their communities anything at all, expenses were greater in terms of time than money. Actual campaigning for office as we know it today was considered boorish and unbecoming of honorable men. Being of little interest to men of ambition and fortune, small districts repelled the natural aristocrat, and left the House to average citizens of middling wealth. On the other hand, only men of property and wealth could afford to campaign in large districts. Districts no smaller than 30,000 guaranteed eventual dominance of the House by the natural aristocracy of society. Aristocratic institutions, whether natural or hereditary, are incapable of representing the people. In time, those who lacked sufficient funds of their own to campaign in large districts could make up for the deficiency by pandering to various interest groups. On September 17th, such was the discomfort over the House of Representatives, delegate Nathaniel Gorham of Massachusetts motioned to strike 40,000 from Article I § 2, and replace it with 30,000. Per James Madison’s notes, George Washington, who had barely said a word at the convention since May, expressed his support of the motion by saying, “the smallness of the proportion of Representatives had been considered by many members of the Convention an insufficient security for the rights & interests of the people.” He acknowledged that it had always appeared to himself among the exceptionable parts of the plan, and late as the present moment was for admitting amendments, he thought this of so much consequence that it would give much satisfaction to him to see it adopted. The motion passed unanimously. Conclusion. Membership in the House of Representatives was set at 435 in 1913. Since then, our 92 million population grew to 309 million by 2010. The number of constituents per representative climbed from 212,000 to 710,000. Compare this to 1793, when congressional membership reflected the 1790 census, and each congressman had 37,400 constituents. What the Framers regarded as a defective representative body in 1793, was aristocratic by 1913, and is oligarchic today. We witness the ramifications of inadequate representation on a regular basis when federal and state courts rewrite district lines. After each census, cage-fights emerge as various ethnic groups petition judges to hear their gripes about disenfranchisement. With so much at stake among too few congressmen, each district is a hill worth fighting for. We’ve become numb to judicial interference with political questions, and the design of congressional districts is rightly, a purely legislative function. I don’t pretend to offer a satisfactory solution to the problem of inadequate representation in congress. Going back to the Anti-Federalist argument, real representation, whatever that actually is, is probably impossible. However, we can be sure of two things. 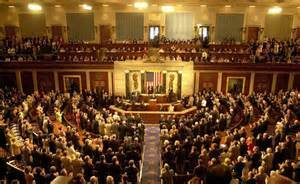 First, members of our oligarchic House of Representatives will never vote to increase their number. Second, we could expect a reduction in the turmoil after each census and subsequent revisions to congressional districts if our central government was put back in its Constitutional box. Limit Washington DC to enumerated powers once again, and watch the regular and ever-increasing national uproar every ten years diminish and hopefully disappear. Kenyon, C. M. (1966). The Anti-Federalists. Boston: Northeastern University Press. Madison, J. (1966). Notes of Debates in the Federal Convention of 1787. Chicago: Ohio University Press.